Beautiful vintage model pond yacht “Planet” from the famous English manufacturer Star Yachts of Birkenhead. 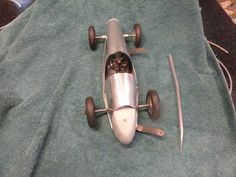 The model has probably spent many warm summer days sailing across ponds or lakes and its condition reflects this. 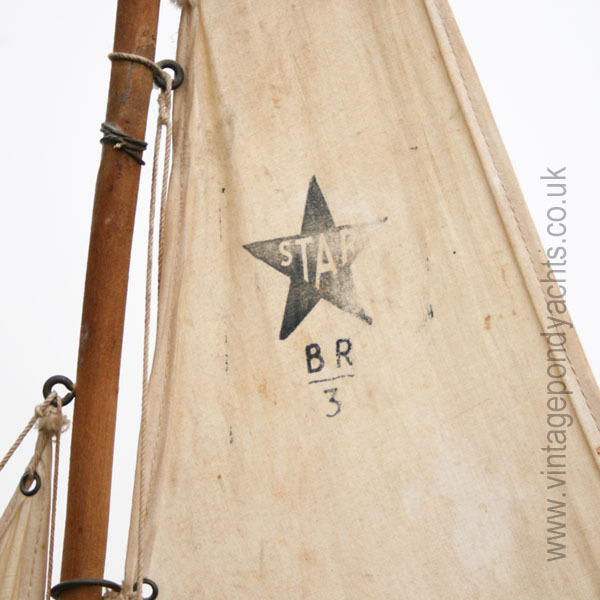 It isn’t “as new”, it has various minor marks to the decking and the mast has, at some point in the long distant past, been repaired. 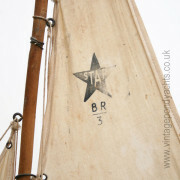 Importantly the sails, although stained, have no rips or tears and the trademark Star logo is very clear. 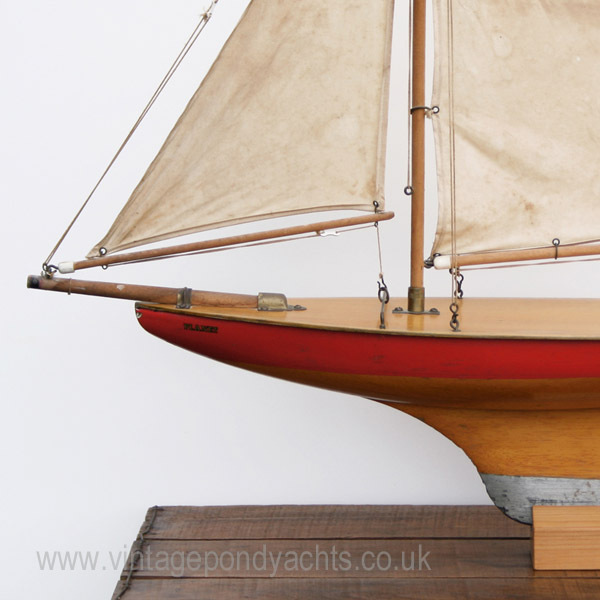 Star Yachts are renowned around the world for their, iconic, range of model sailing boats and were in production from just after the first world war right up until the sad demise of the company in 1990. Over the years they produced many different variants, each one proudly displaying the company’s decal – “Made in England” and “Guaranteed to Sail”. 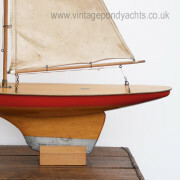 This particular model “Planet” is extremely rare nowadays, probably dates to the 1950’s and is particularly sought after with the earlier round stern, it’s one of a far superior range of models the company produced and shouldn’t be confused with the lesser, steel keeled, examples commonly seen. 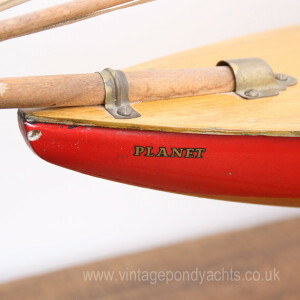 Planet has a lead keel and the identification “BR 3” on it’s sail, it was the mid sized, Bermuda Rigged (BR) yacht, similar in design to the smaller Meteorite “BR 2” and the larger Comet “BR 4”. All these variants are difficult to find. 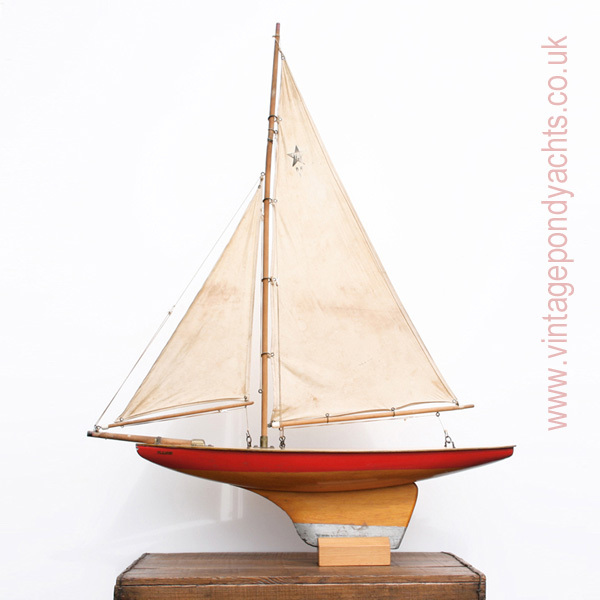 This example, with it’s warm rich colours, and delightful aged patina, displays well and its relatively large size creates impact when used as a decorative piece. If you require any further info. or additional images, please don’t hesitate to contact me and I’ll be happy to help.